I started finding some really pretty gems on my walks which has led me to lots of reading and trying to learn to identify. 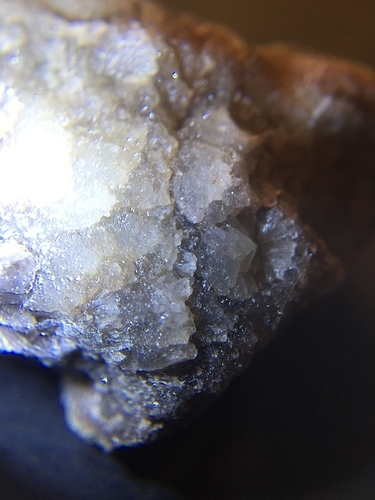 There are these rocks that I’m starting to find more often now I know where to look and I’m really curious what they are. 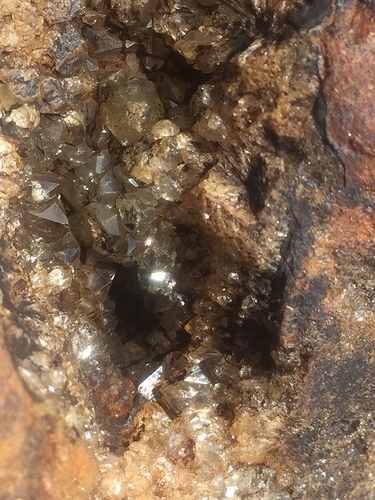 From what I’ve researched I’m wondering if they could be Sphalerite? I live in Tasmania and find these in the swampy part of the river edge. 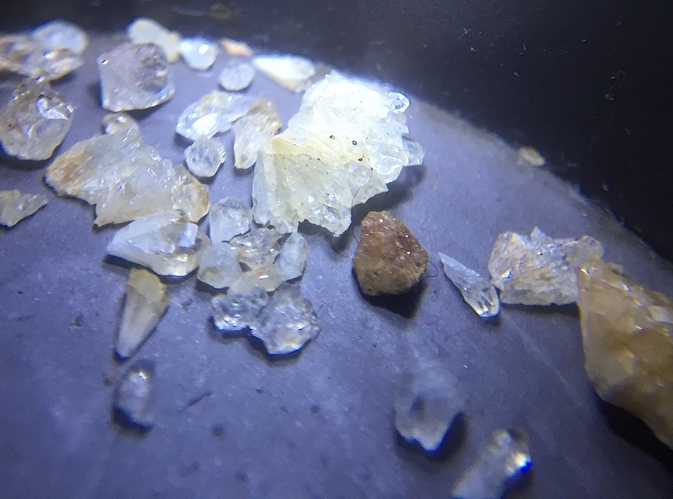 They are covered with all sorts of algae and some sort of black stuff when I find them, they usually look like a normal dirty rock and I have to feel for the crystals under the algae and guess which ones might clean up well to reveal crystals. 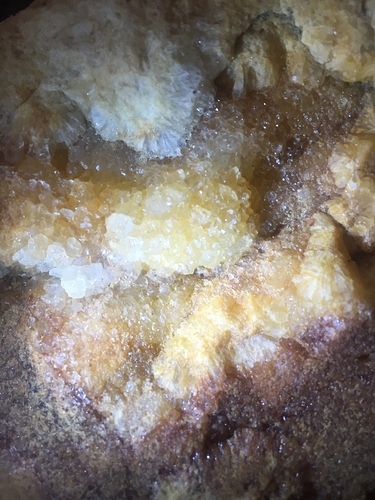 I use detergent and then soak in citric acid to clean them and there is a noticeable smell during this process which is one reason I thought they could be Sphalerite. they are in, not from the stones! Thank you for replying Joel. I thought it was unlikely due to the quality I’ve found but that smell and brilliant shimmer made me wonder, but what you said makes sense…it’s not as easy as it looks to identify stones as a newbie😅. Thank you again for taking the time to reply.